Sherwood Going born approx 1748-58, died 1823. Alexander Gowen Jr b. 1742 – d. ? 1777 April 24 – Page 323. Apr 24, 1777 from John Bynum (Buynum) of P, to Daniel Gowin of Orange County, North Carolina, for 65 £, all that tract of land in P on Rattlesnake Cr or Run, and joining Country line, and bounded by [trees], about 400 acres. Signed – John Bynum. Wit – none. [No recording date mentioned]. 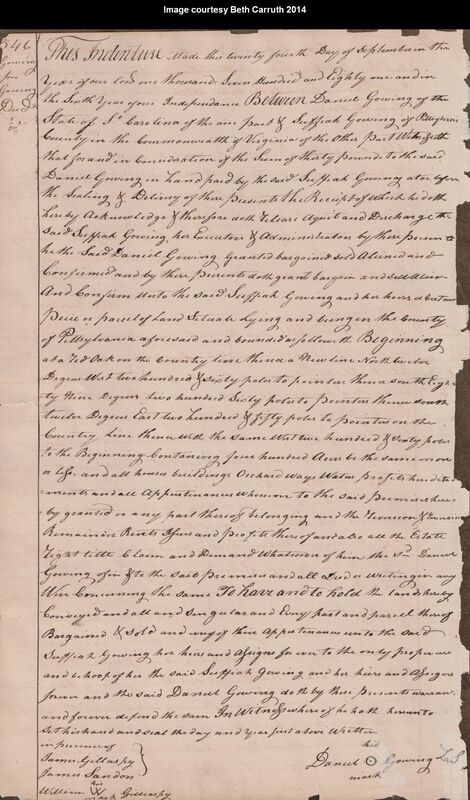 Extracted from: Pittslyvania County, Virginia Deed Book 4 (1774-1778), by T.L.C. 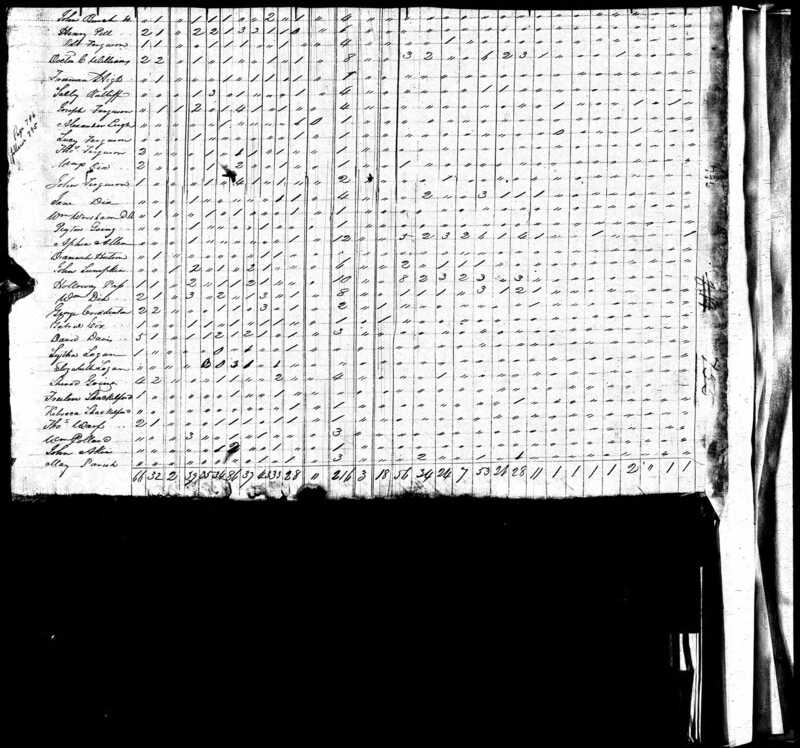 Genealogy Pittsylvania Co, Va. 1777 April 24 Daniel Gowin and John Bynum Pittsylvania Va bk 4 323 (Note: This is the land that later is conveyed by Sophia Gowin to Sherwood Gowin). 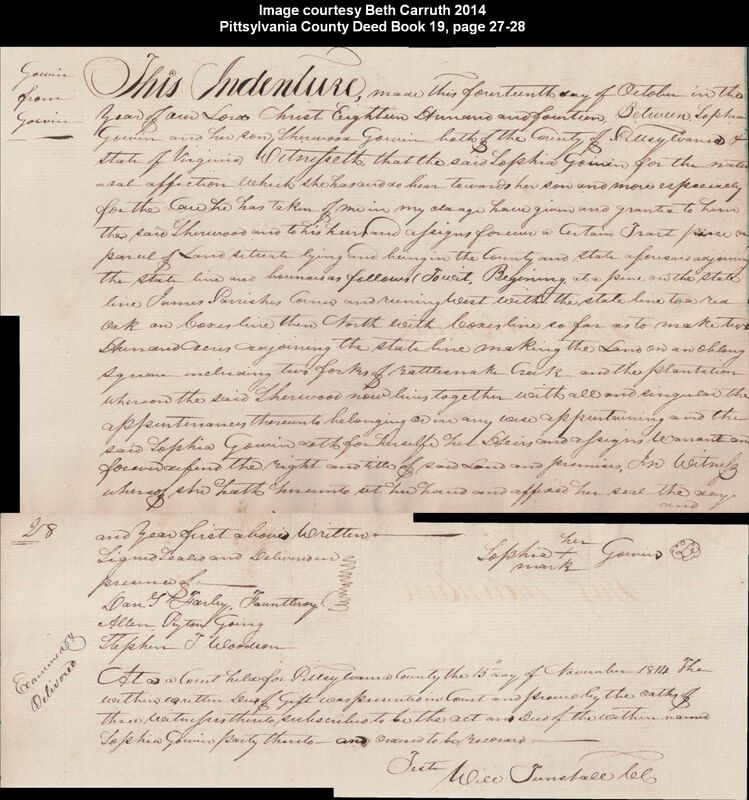 Deed: Sophia Gowin 200 acres to son Sherwood, 15 Nov 1814, , Pittsylvania, Virginia, USA. 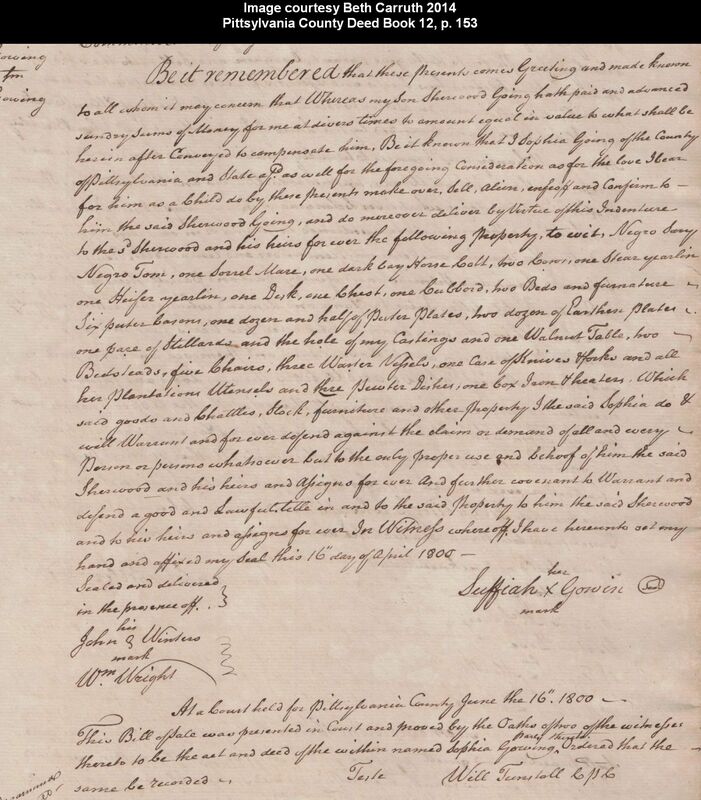 9 Transcription of deed between Sophia Going and her son Sherwood giving him 200 acres of land. 1814, Pittsylvania County, VA. This land makes up half of the acreage owned by Sophia Going. 1823 Nov 18 Elizabeth Going widow of Sherrod Going decd of Pittsylvania County, Va., to William Dix Jr 73 acres being 1/3 of the land formerly owned by Sherrod Going containing 220 acres. Signed: Elizabeth Going. Wits: Jas M William, Jno Noble, Nath Wilson, Geo H Baskervill.